Major Number : For Driver Type “Zynq”, “PCIe” & “OpenAMP” the driver uses a “File” based mechanism to communicate with the hardware. The Major number species the Major number to use for this driver in the linux kernel, default value is 241 can be changed if this major number is already being used by another driver in the system. 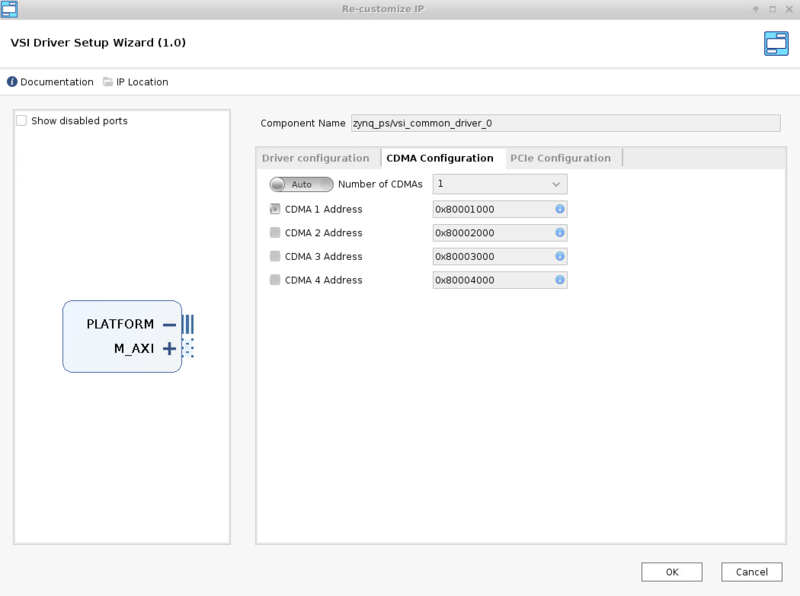 Number of CDMAs – Choose the number of CDMAs in the VSI Common interface. CDMA Nth address – Address of the Nth CDMA’s control port in the VSI Common Interface (typically should not change). 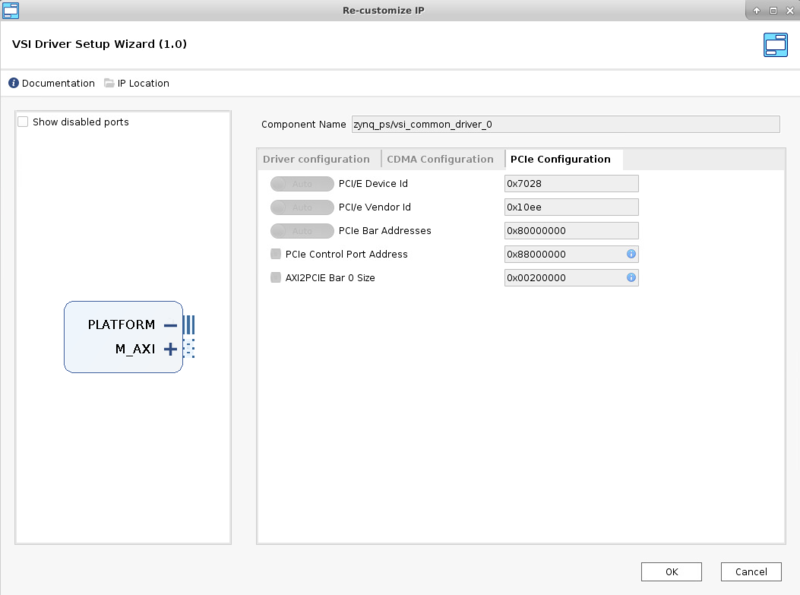 PCIe Device ID : For Driver Type PCI/e this parameter should match the hardware PCI/e core configuration. 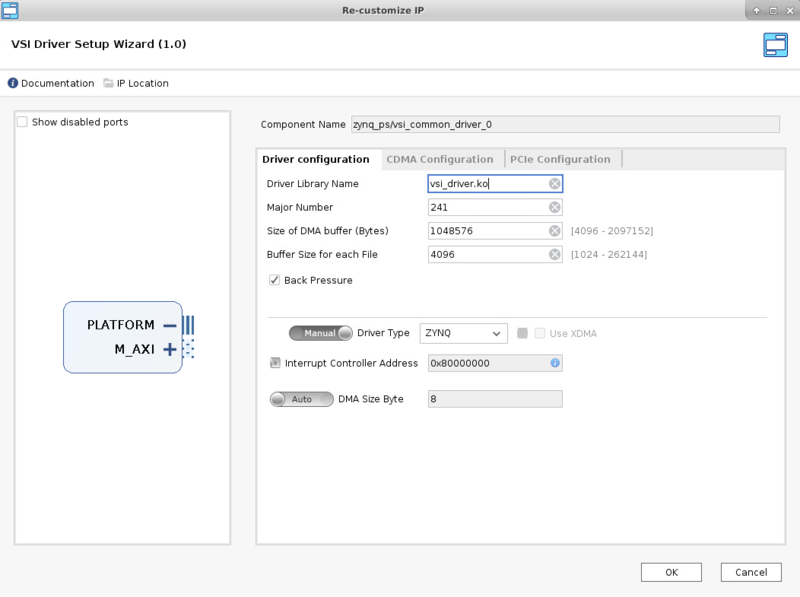 PCIe Control Port Address: The driver internally uses this value to determine if a DMA will be needed to transfer the data , or a “direct” read write operation can be performed.